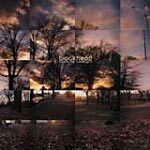 Blockhead breaks out with his full length debut on Ninja Tune! Wonderfully cinematic and layered beats provide just the right amount of chill for any fan of instrumental music, even more for Aesop Rock fans as he has been the primary beatmaker on most of his albums (minus Bazooka Tooth). Includes a video for Insomniac Olympics! Produced by Blockhead. All scratches by Omega One. Live musicians: 3, 5, 10, 13 guitar by Damien Paris, 9 bass by Damien Paris, 12 violin by Baby Dayliner. 'Insomniac Olympics' video directed by Sam Arthur.